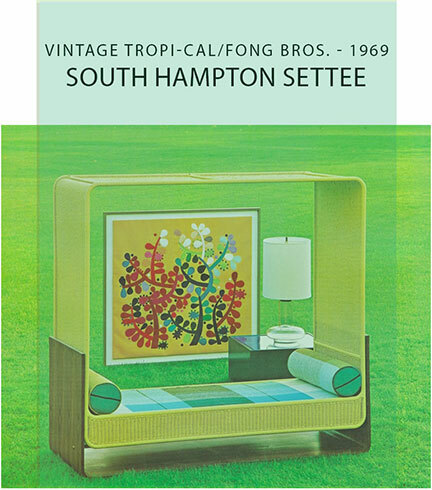 The South Hampton Settee was designed by Danny Ho Fong in the 1960’s. Beautiful bentwood forms the base of this woven wicker settee with canopy. Reproductions are handcrafted and made to order.